Possibly the most friendly chef in London, José Pizarro, brings his acclaimed Spanish cooking to the City. Possibly the most friendly chef in London, José Pizarro, brings his acclaimed Spanish cooking to the City. Far from your average tapas joint, Pizarro’s third eatery puts an unusual twist on a classic formula, rolling out modern interpretations of recognisable Spanish fare from pica pica plates to full-on mains. He has also thrown in a breakfast service to give the morning crowd something more exciting to meet over than avocado on sourdough. 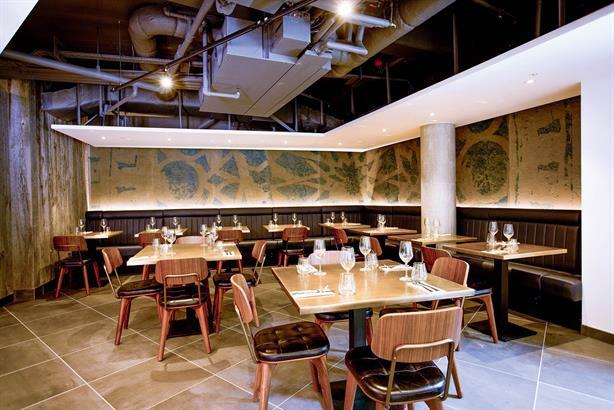 In an area saturated with restaurants both fine and casual, José Pizarro Broadgate manages to nail the perfect balance of the two, making it a great choice for all occasions and price points. The restaurant has an unusual ability to be as formal or casual as your company. £70 will keep two busy with plenty of small plates, a pudding and a carafe of excellent Spanish wine. There are outside tables, but Broadgate Circle al fresco doesn’t make for the most inspiring atm­osphere. Stay inside for the real action, or if the food alone isn’t enough, sit up at the bar. The croquetas caseras are dangerously moreish but the small menu really comes into its own with the paprika grilled octopus and Iberico meatballs. Don’t pass on pudding either – the chocolate with olive oil and sea salt is an ind­ulgent version of Nutella on toast. Pizarro’s SE1 venues are packed every day, so get in quick. A very welcoming front of house team (often including Pizarro himself) will work hard to find a seat for you even at busy times. There’s not a starched tablecloth in sight but its artfully executed dishes, sleek ‘tapas with a tie on’ interior and friendly service will impress. José Pizarro’s winning formula looks set to delight even the most discerning City foodie. London’s finest tapas perfectly translated for a City crowd.